Cozy winter nights are my absolute favorite. A night full of cold weather, good books, candles, face masks, and cozy blankets, what more could you ask for? 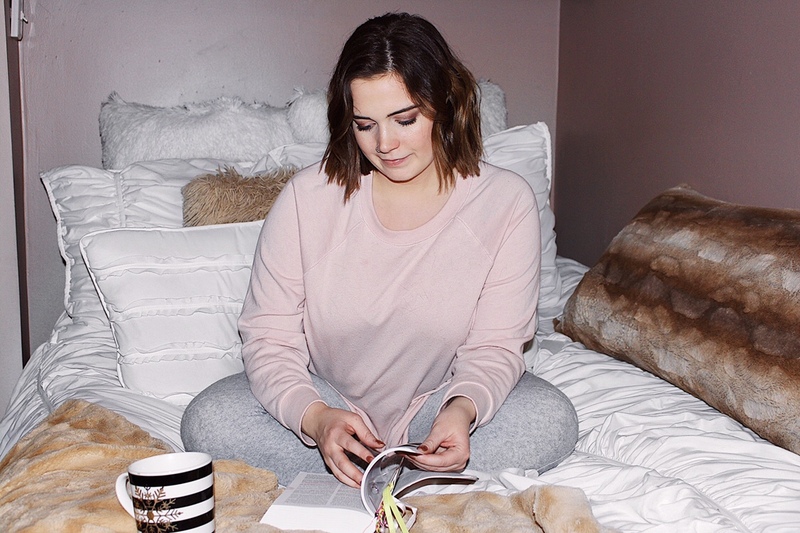 In today’s post, I’ll be sharing some essentials for a cozy winter night in. The key to a good cozy winter night in are all of these essentials. Over December break (time off from school), I had cozy nights a lot. I make some hot chocolate, change into comfy clothes + fuzzy socks, light my candles, turn on some Netflix and or read my Women’s Bible, put a face mask on (my favorite are the ones from FREEMAN beauty) and lastly, I’ll cuddle up under a cozy faux fur blanket for extra warmth. Having a cozy winter night in is always a good night. It’s so relaxing, especially if it’s snowing a light snowfall.